I’ll just start off this post by saying that this will probably be one of the most gut-wrenching posts I write on this blog. 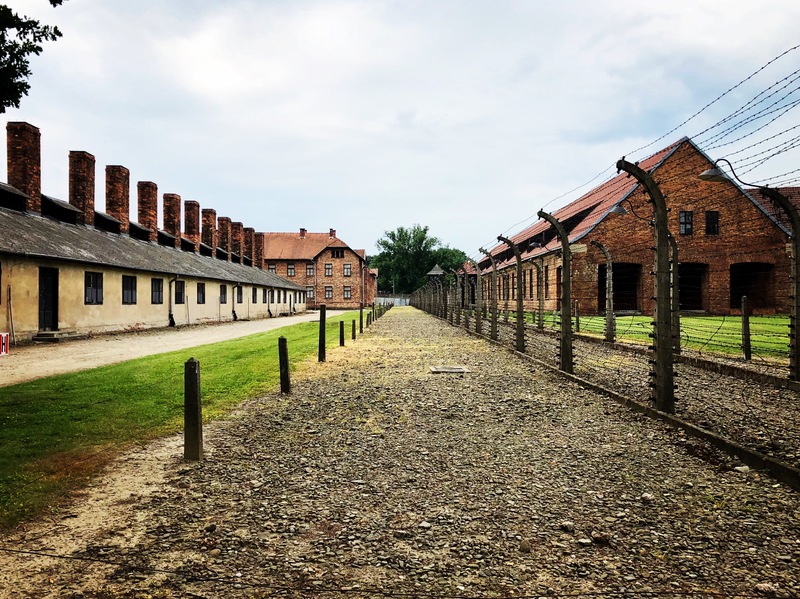 I learned about the history and horrors of Auschwitz-Birkenau briefly when I was in school. Even then, I was not able to fully comprehend the atrocities that took place. 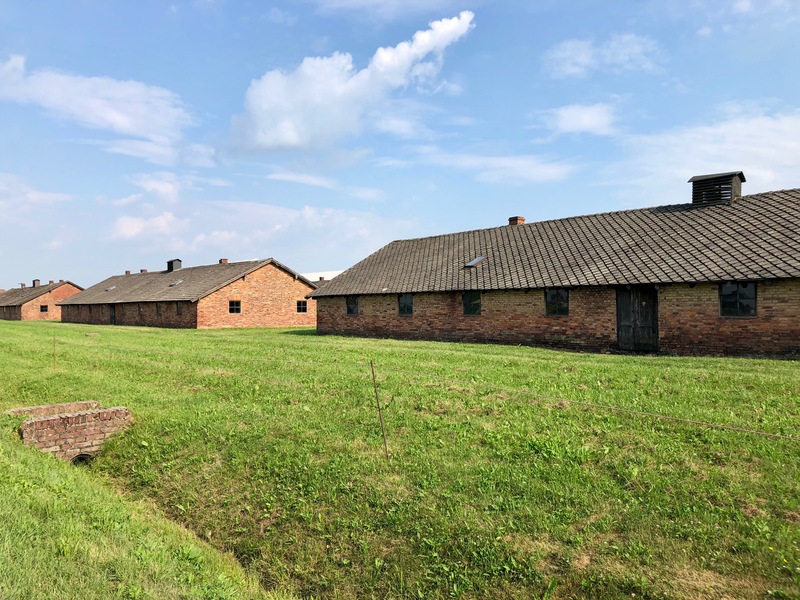 Visiting these concentration camps in Oświęcim, Poland was, without doubt, the most educational and eye-opening experience I’ve ever had. Being in the very area where so many horrendous things happened gave me an entirely heightened sense of understanding. 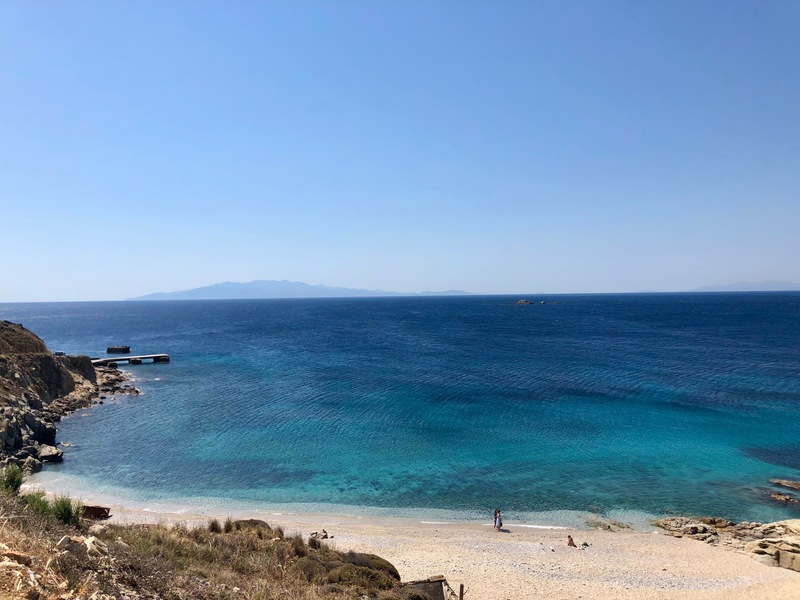 My heart is breaking as I write this post, but I want to share with you some of the things I saw today. I think it’s immensely crucial to reflect on this part of history so something abhorrent like this doesn’t happen again. This post contains affiliate links to the products that I use and trust. This means that I might receive a small commission (at no extra cost to you) if you make a purchase using any of my links below. See my full disclosure here. We stayed in Kraków, which is the most convenient and easiest option. 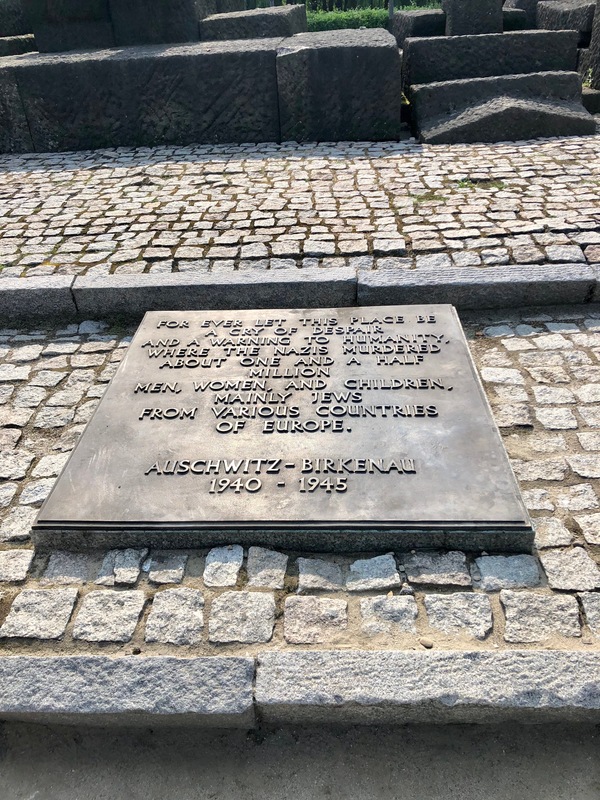 Kraków is about sixty-five kilometers away from Auschwitz. Check out your accommodation options here. We booked a tour through our hotel. 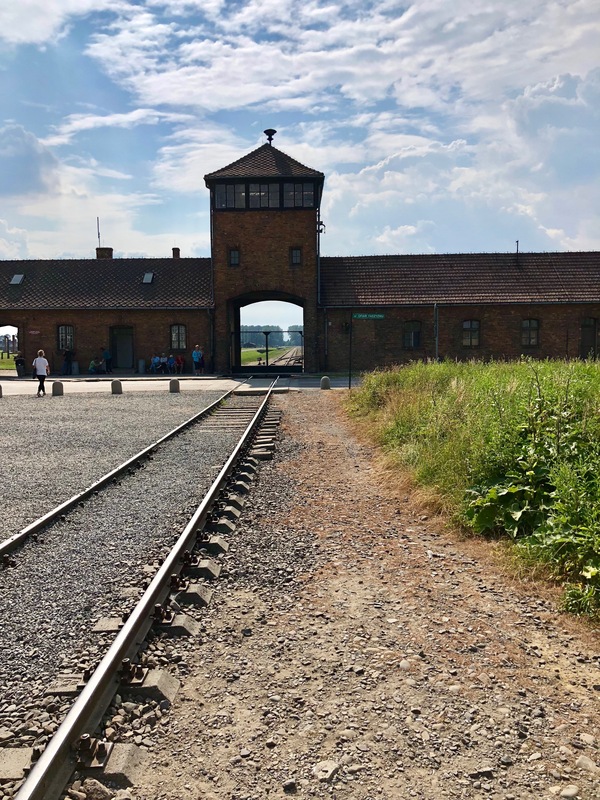 We thought it would be the easiest option since wanted to tour both Auschwitz and Birkenau. 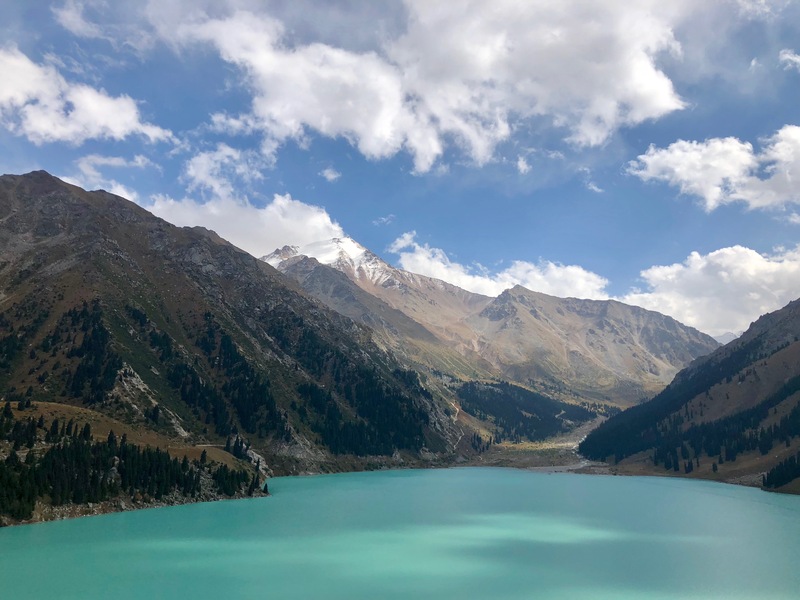 The distance between the two is approximately three kilometers so we thought a tour would be the best way to see both camps. 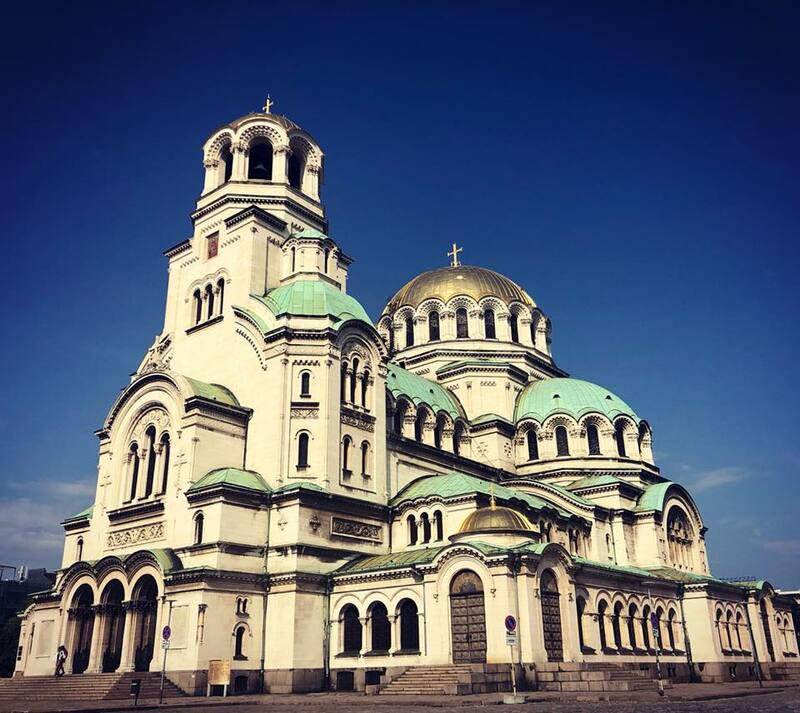 You have three options to visit—book a tour through an agency in Kraków, book independent travel arrangements and join a guided tour when you get there, or visit independently without a guide for free. If you choose to do the latter two, make sure you reserve your visit in advance through visit.auschwitz.org. 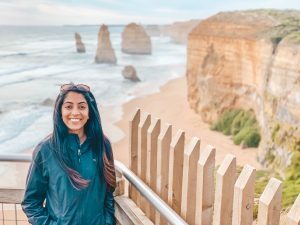 SHOULD YOU DO A GUIDED TOUR? In all honesty, I don’t think the guided tour is worth it. 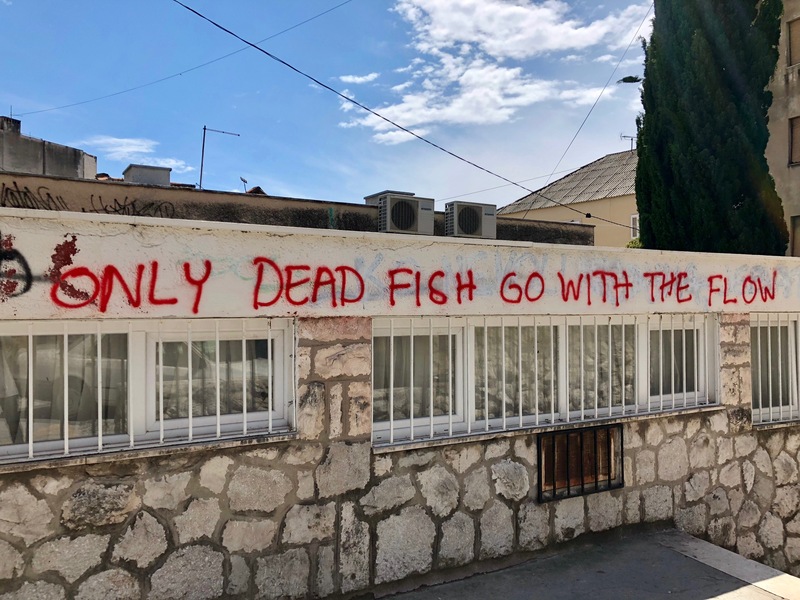 I am not saying that the guided tour was not good. It was convenient and eliminated a lot of stress regarding planning. However, I felt that the guided tour was not necessary. 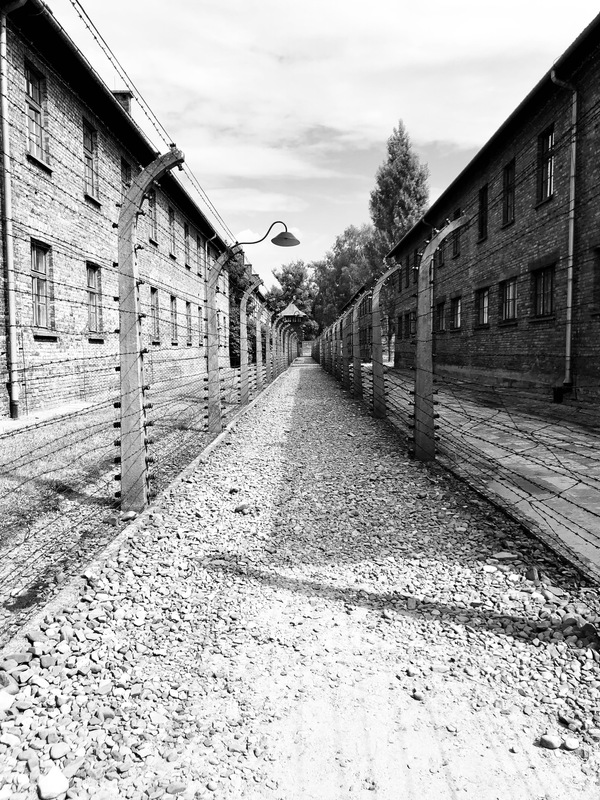 Before we visited the camps, we watched many documentaries that heightened our education. We already knew the majority of the information our tour guide told us. We also felt very rushed during the tour. There is so much written information and so many displays that I wanted to read and look at in depth. Our tour guide’s pace did not allow us to fully process all of the information in detail. There were a few instances where we left our group for a few minutes to explore on our own. 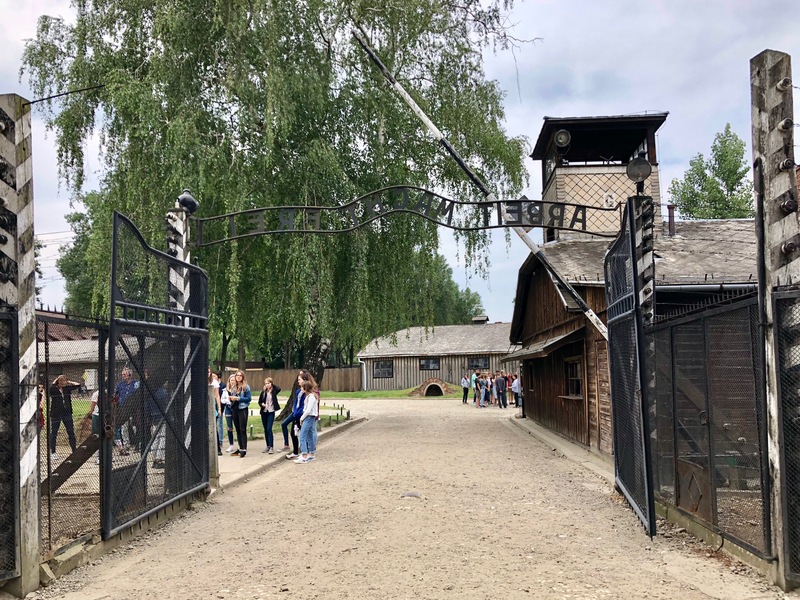 Auschwitz-Birkenau does not have an official dress code. However, please be sensitive with your choice of clothing when visiting. My general rule of thumb is to not wear something you wouldn’t wear to a funeral. I’m not saying to wear a dress or a suit. Just don’t wear a short skirt or anything else along those lines. Your clothing should depict respect. Be sure to wear comfortable shoes as you will be walking a lot. I didn’t think I would have to add a part on this post about how to act, but here I am writing about something that should be common sense. I saw people taking selfies while I was here. I also saw some girls laughing in several of the rooms. I was appalled by some of the behavior that I saw. Just be respectful and act like a mature person. Only small handbags within the dimensions of 30x20x10 cm are allowed. 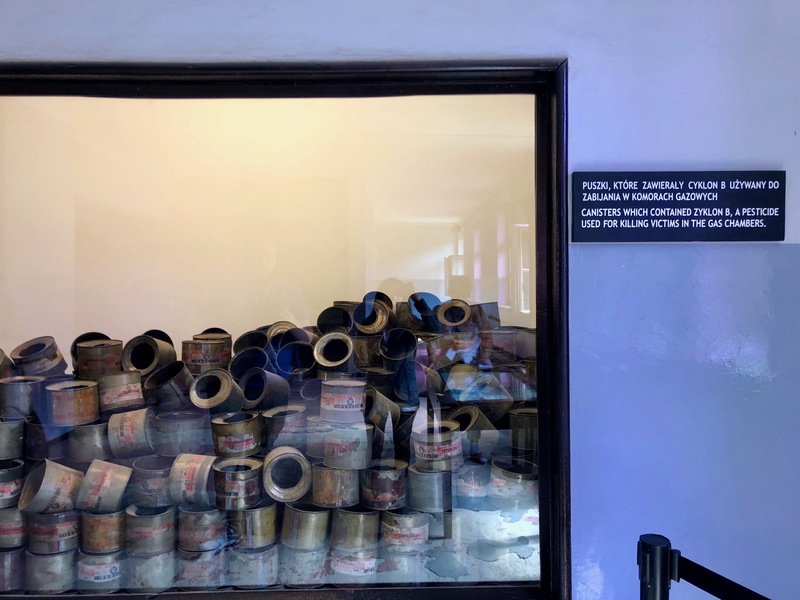 If you do happen to be traveling with luggage bigger than the above listed dimensions, there is a luggage storage area before you enter the museum. Bring extra layers of clothing if appropriate. Bring a camera. Photos are permitted throughout the camps with the exception of two rooms. Bring water bottles. We arranged a tour from Kraków so we did not have to worry about getting to and from the two camps. If you don’t have a tour, don’t worry. There are free shuttles that depart from both camps every thirty minutes or so. If I could summarize my visit into one word, it would be chilling. I felt chills down my spine the entire time I was there. It was sunny and hot on the day we visited, but I felt cold. The hair on my arms stood up the entire time I was there. I am not exaggerating that. 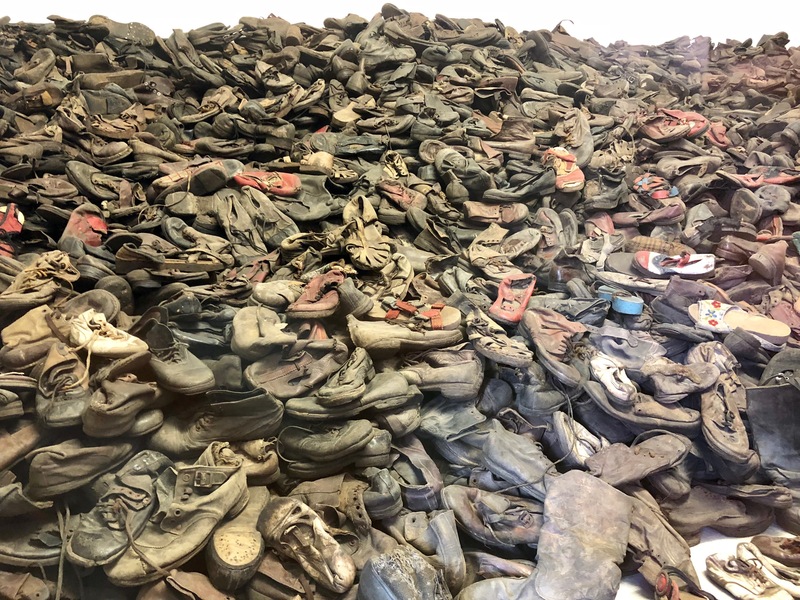 My soul was filled with so much grief while visiting this hell. Walking through the main gate was a tear-jerking moment. This was the same gate that so many innocent people walked through later to be executed for no legitimate reason. I just couldn’t fathom it. I was walking around where so many people had horrid deaths and where people spent their days in terror. FOR NO REASON!!!! I became sick to my stomach when I saw the display of human hair. 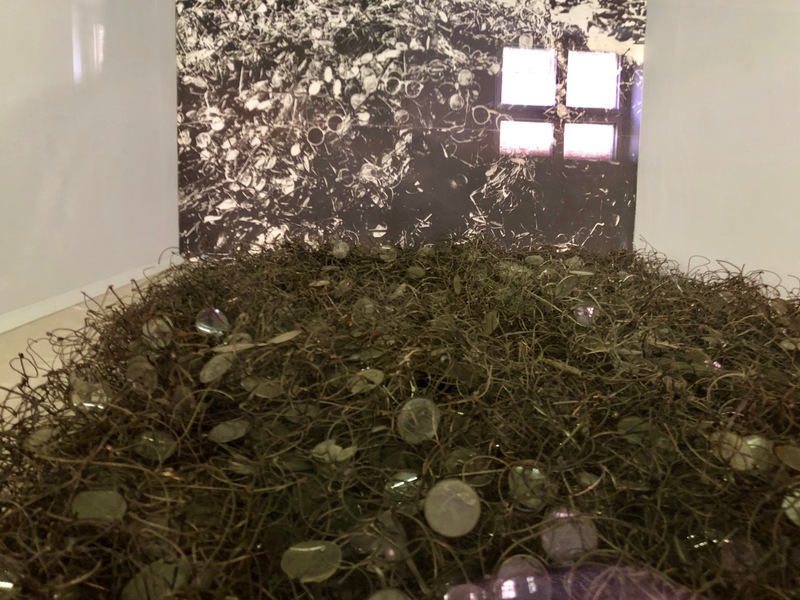 This hair was taken from corpses after they were removed from the gas chambers. The hair was used to make clothes, socks and other items. I was doing fairly okay until I saw the display of shoes and saw a child’s shoe. I became paralyzed when I saw the shoe. I tried to walk away so many times, but I couldn’t make myself. I had so many thoughts running through my head. Who was this child? What was this child like? What did this child look like? What was their name? What was their favorite color? This was a child’s shoe—A CHILD’S SHOE! This child had done nothing wrong. Sadly, this image will forever be burned into my memory. 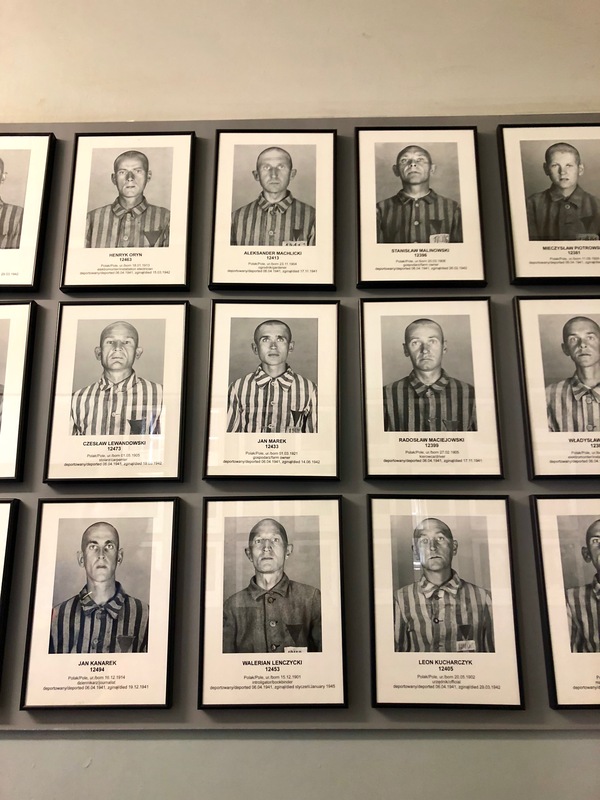 I found myself in a daze when I saw the wall of hundreds of prisoner registration photographs on display. 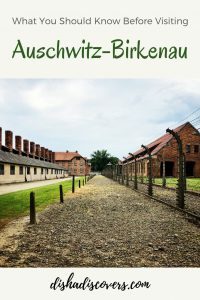 I started calculating how long these prisoners lived after they were brought to the camps. I started imagining who these prisoners were before they were stripped of their identity upon arriving to the camps. I couldn’t get myself to walk away from this room either. I had so many questions and thoughts about these people. 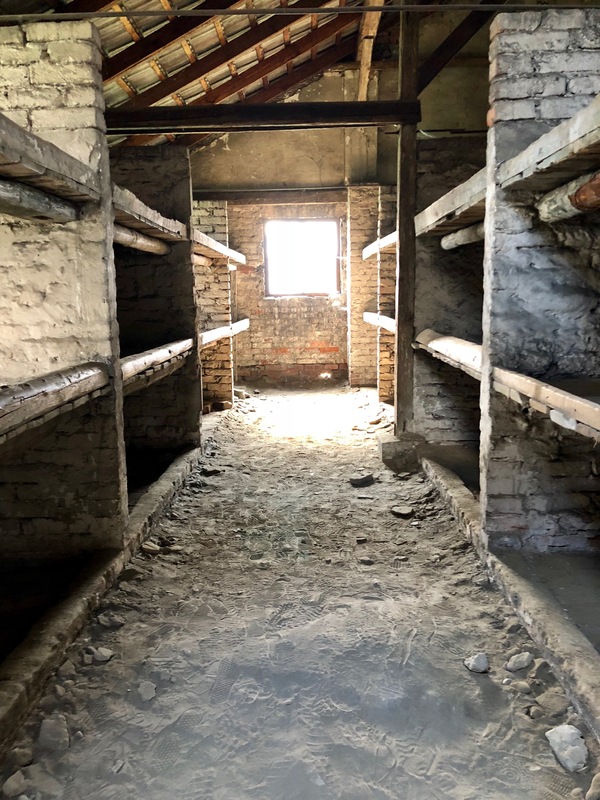 I had another sobering moment when I saw the bunks that the prisoners slept in at Birkenau. These bunks are basically just wooden shelves with no cushioning at all. A minimum of five people were stuffed on each bunk. 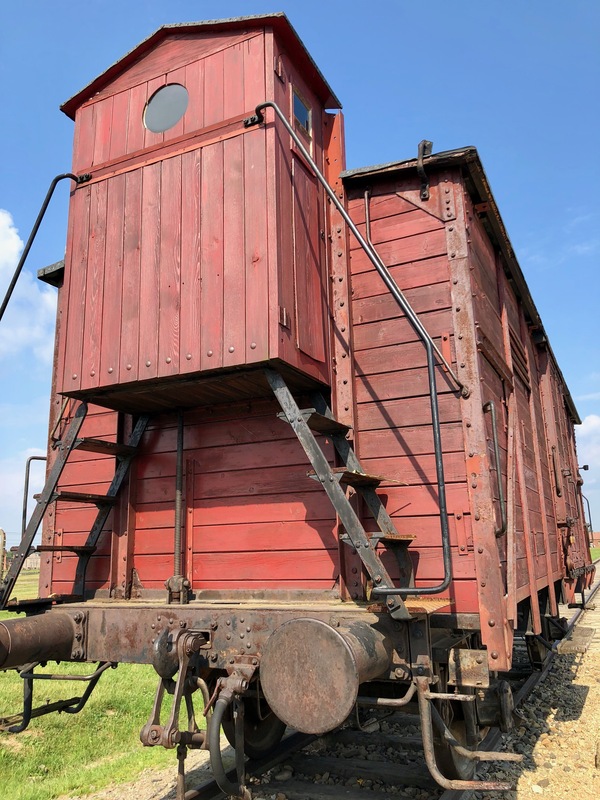 Seven-hundred people were put into each barrack. Can you imagine sleeping in a room with that many people? 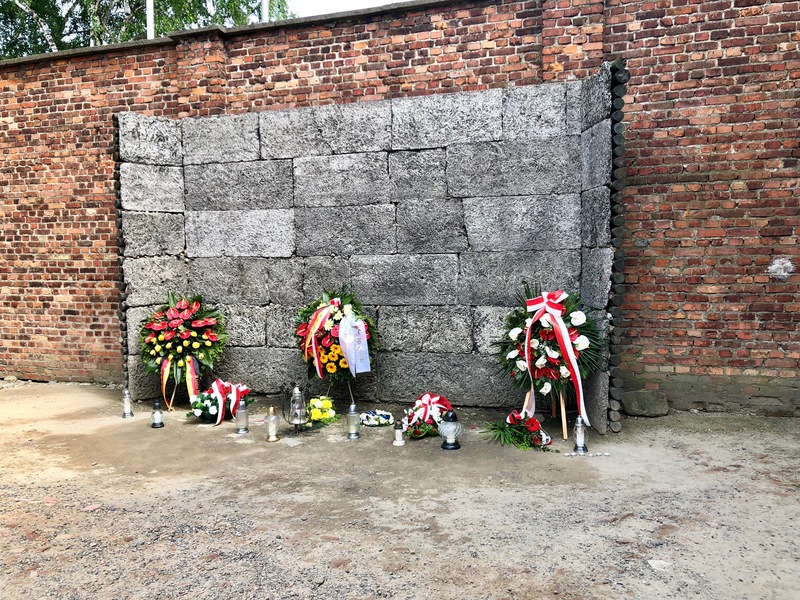 I did not cover even a fraction of what I saw and felt, but I hope that this post somewhat prepares you for your visit to Auschwitz-Birkenau. 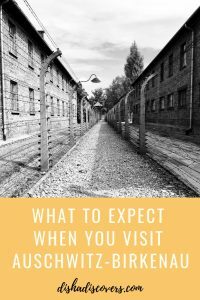 If you are unable to visit Auschwitz-Birkenau but would like to learn more about it, I highly recommend this book. The book contains over 400 photographs and stories about the victims. 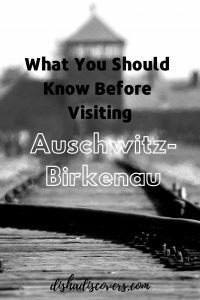 Have you been to Auschwitz-Birkenau? Which part what the most moving for you? Let me know in the comments below. “THOSE WHO DO NOT REMEMBER THE PAST ARE CONDEMNED TO REPEAT IT.” We see it happening from generation to generation. The younger generation (whether it is the younger generation after WWII or now) doesn’t see history as important. Thank you for bringing this horrific history to our attention. May it keep us from repeating it.